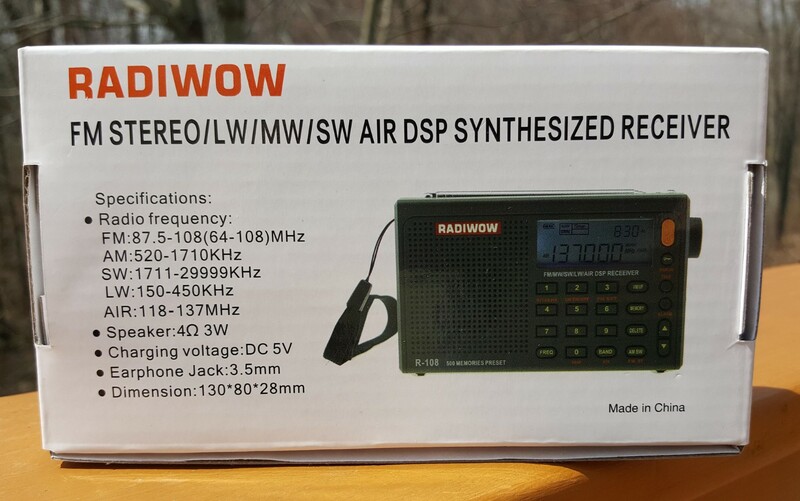 Perhaps one of the most controversial new portable radios released this Spring is the Radiwow R-108. Why controversial? The development and marketing of the R-108 is a reflection of the current state of affairs within the Chinese manufacturing industry. It’s a story of how intellectual property can no longer be trademarked or patented effectively, and is the primary reason manufacturers no longer provide any service literature for their new products. Since these companies are free to reverse engineer any product that falls into their hands, you can’t make it even easier by providing a schematic or parts list. I suppose it is true that modern electronics of this sort are far less serviceable than units of days gone by, but still, it would be great to be able to get service manuals again. The origin of the Radiwow is at the Redsun Factory in Shenzhen which also produces the XHDATA D-808. Coincidentally, this same factory produces the well-respected Skywave and Skywave SSB models for US-based C. Crane. Well, there’s nothing wrong with making several brands of radios at one facility…that is not unusual. The problem is that C. Crane paid for the Research & Development of these radios and that is a huge cost. Now along comes the same company that worked with C. Crane over years collaborating on the design, testing and debugging until the product was ready for market. Now they turn around and copy the basic design with revisions and sell it for well below what C. Crane has to charge to recoup their development costs. The buyer is left with the following choice. You can buy the real-thing, the C. Crane Skywave (about $80) or the Skywave SSB (about $170) or for a fraction of that price you can buy a Radiwow R-108 for around $50-$52. You can also choose the larger (and better) XHDATA D-808 for about $115. No brainer, right? 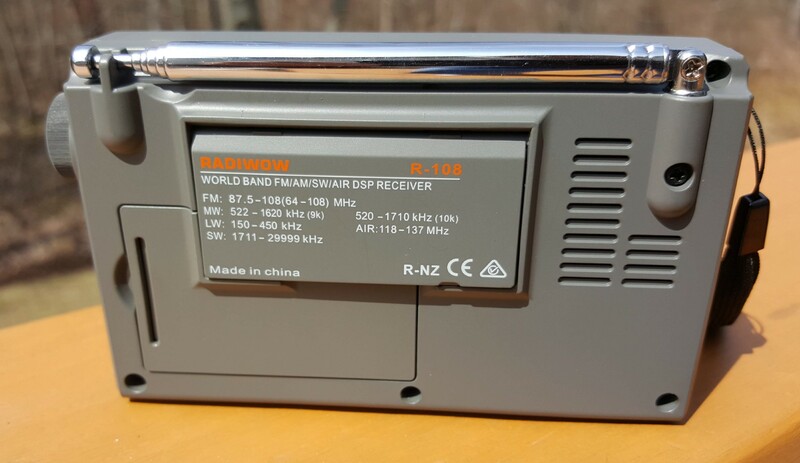 Although the XHDATA has proven itself to be a nice radio (see the XHDATA D-808 Review) the Radiwow R-108 is much more of a gamble as evidenced by the poor reported quality control and unit to unit variations in (at least) the initial shipment. Will quality control settle down after the initial production run? It’s anyone’s guess but hopefully more people will post their experiences so we can get a handle on it. For now, I can only report on the single unit I purchased. And while it is not perfect, it seems good for the money. I would recommend US purchasers buy through amazon so you can return a defective sample for exchange, something those of us who have bought from China can’t do as shipping would run about the same as buying another radio. So yes, there is a warranty but, in this case, it saves you nothing. Enough background…what about the radio? 500 Preset Memories – 100 for each band FM, MW, LW, SW, AIR band. 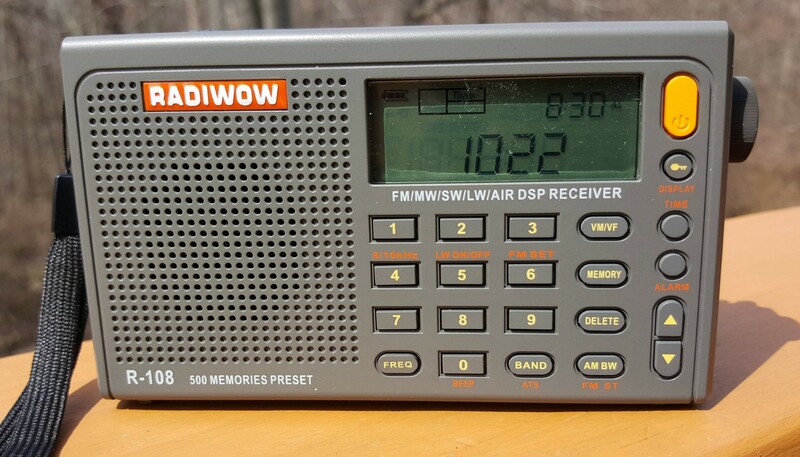 In Use/Performance: For about $50 I didn’t have super high expectations but I have to say the radio performs reasonably well, earning 1 to 1 ½ Stars on the AM Mega Shootout List (I’ll explain this shortly) and **** on the FM Mega List, comparable to the findings with the competing Skywave radio. (Remember that the Skywaves both offer NOAA Weather for the United States which is omitted on all the China market radios). 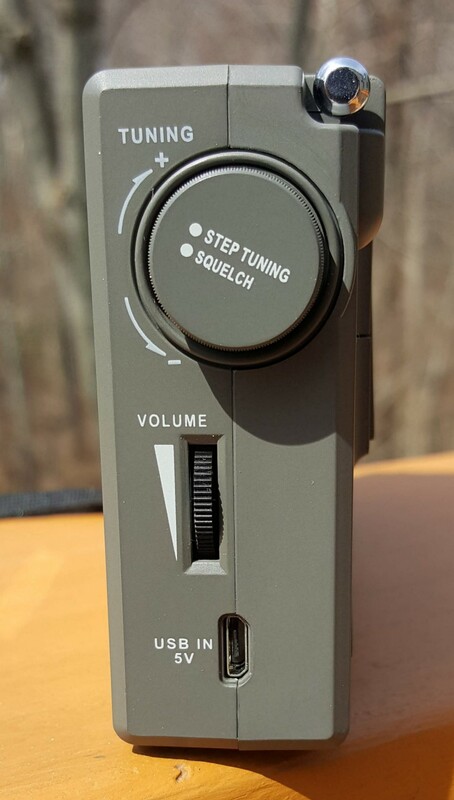 After a few weeks of testing and listening I would judge my sample to be essentially problem-free and it is a cool little radio for the price. However, my particular R-108 does have one reported issue with this model…a slight ticking noise in the background on AM. Although an admitted flaw this ticking is slight enough that most listenable signals will cover it up, but for signals nearer to the threshold of audibility it is a limiting factor. I would suspect this is the kind of thing that may vary sample to sample and hopefully be improved in future product runs. This is the reason for the * and *1/2 Star AM ranking. With the ticking noise it rates *…if your sample doesn’t have the ticking noise it would rank *1/2 Stars. One online comment suggested this ticking could be defeated by changing the meter display mode but that didn’t work on my sample. Overall AM Reception was adequate for this class of radio but if you’re serious about AM you might want to consider another radio that rates a bit higher on the AM Mega Shootout list. FM was a solid **** on the FM Mega Shootout List and performs typically of today’s DSP designed portables. Very good sensitivity and selectivity and for $50 it’s a good choice for FM. You get stereo at the earphone jack and there is a Stereo/Mono setting. SW reception was OK for this price range. Comparing the R-108 with other similarly priced radios the SW was not bad…the included wire antenna will add a bit to its sensitivity, but at 10 feet it’s rather short…a typical reel-up antenna is 23 feet long and will give proportionately more signal gain..
Air Band was good too. I am far enough from my nearest airport that Air Band reception is usually marginal but I was able to hear several transmissions clearly and this is typical for my location. Sound quality was also pleasant for such a small radio. The Music/Voice setting offers two good sound options for all bands and on AM/LW/SW you also have 5 bandwidth options to optimize reception and sound. The Squelch control works on all bands and was very easy to use. As well as several Alarm/Timer-related features. 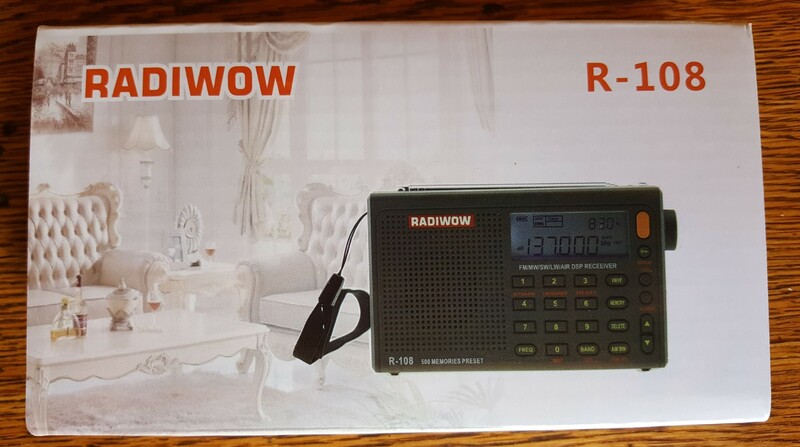 Conclusion: The Radiwow R-108 is not really a Big Wow…but it is a darned cute little radio. Forgetting the circumstances surrounding its development and marketing and judging the radio solely on its own merits, at about $50 it is competitive. It’s certainly not perfect and (at least the initial) quality control has been poor. But I don’t have another $50 model that significantly outperforms it and offers the same feature set. 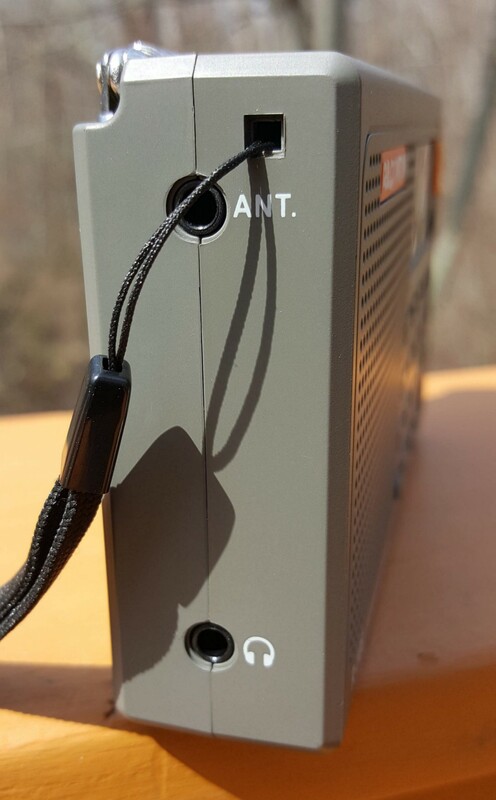 I do have some slightly larger and considerably more expensive travel-size radios that will outperform it, but in this class it performs respectably. I recommend you use Amazon if available to you so you can return or exchange a defective unit. If you get a bad one thru eBay direct from China you’ll be out of luck.